Did you know that classroom furniture plays a surprising, but critical role in teaching and learning? Desks, chairs, and even storage solutions can support student learning and promote achievement. Our current classroom environment is not as effective as it could be. We want to raise $50,000 to transform our space into a flexible learning environment. Don't know what that is? Watch our music video and read our student-written articles to learn more and also how you can help us #FLEXtheHIVE! What is a Flexible Learning Environment, and why does it matter? A Flexible Learning Environment (FLE) is almost exactly like it sounds: the classroom space is designed in a way that gives students and teachers more choices in how they learn and teach. The furniture makes arrangement and rearrangement of classroom quick and easy. This is important because it encourages students to make independent decisions about what they need to do their best learning. One minute they may need to work alone, but later, they might need to collaborate with a group. A classroom designed for flexible learning includes an assortment of desks, tables, and seating options that allows kids (and teachers!) to use freedom of movement to their educational advantage. Academic performance is positively impacted when the learning environment is conducive for collaboration. Students feel a sense of ownership. They are inspired to take responsibility of their learning and find what works for them. When students are comfortable, they express more positive attitudes towards learning and are more on task. Teachers create Flexible Learning Environments in all sorts of creative ways. An assortment of seating options like stools, beanbags, and even couches can be used, and sometimes even kitchen tables can replace standard desks! But for the type of work that we do in Mrs. B's (really hard, but super fun) English/Language Arts class, we have determined that we need options that have the right blend of structure while still giving us tons of flexibility. 84% of us prefer standing (or having the option to stand) when we work. Separate chairs with wheels would make it easier for us to collaborate and would also be helpful to those of us who have ADD/ADHD, anxiety, etc). Our current hodgepodge of bookshelves and cubbies store three grade levels' worth of resources that take up space that could be otherwise used for student workspaces. If Mrs. B had workspaces that were compact and could move with her, she'd always have what she needed at hand, and we'd have more student workspace, too. If all of our furniture were on casters, we would have the flexibility change and rearrange our environment from one moment to the next! We researched Flexible Learning Environments, Personalized Learning, and how they benefit students. In this part, Mrs. B gives you a behind-the-scenes look at how we put this all together. She nerds out talks about teacher things like Standards and STEM/STEAM and differentiation and problem-based learning, but it's still pretty cool because you see all the fun that went into the work. 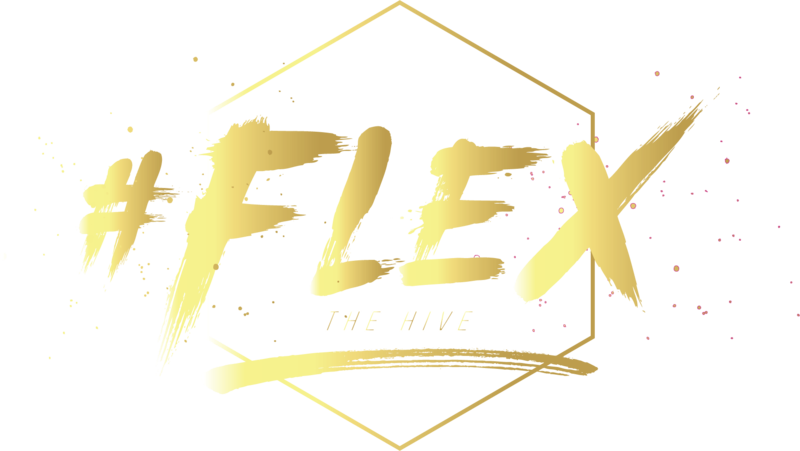 Questions, comments, or ideas about #FLEXtheHIVE? Get in touch with us!